For this relaxer, I used the Creme of Nature Straight from Eden no lye relaxer. My review will up soon. 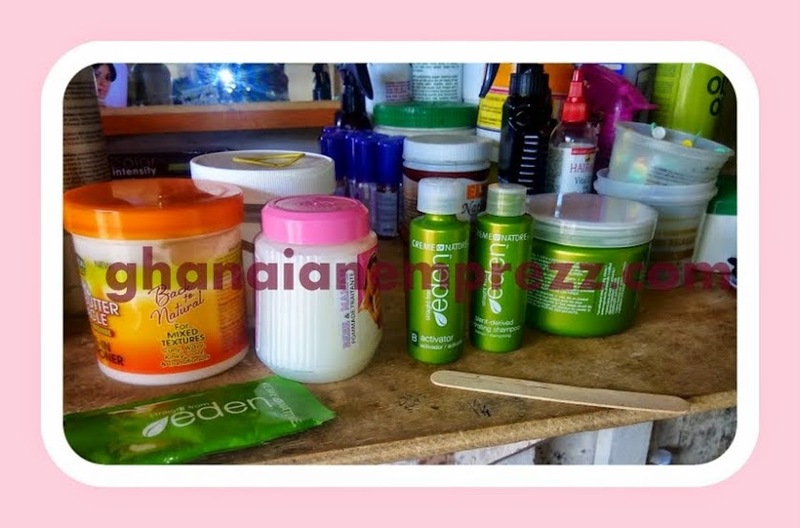 To prevent burns, she based my edges and scalp with Bebe and Mama petroleum jelly. I bought this to use on my baby's bum bum but I've been using sheabutter instead so why not put it to another use??? The stylist sectioned the hair into six and started the application from the back. She smoothed with her fingers for about 10 minutes after which she rinsed with warm water. 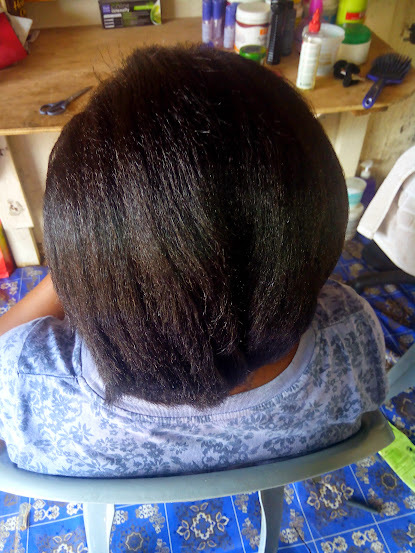 She, then, applied the neutralizing shampoo that came with the relaxer. It is stated on the shampoo bottle that the shampoo is sulfate free. 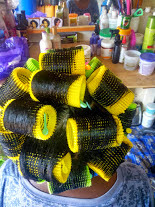 She then applied African Pride sheabutter leave in and did a roller set. 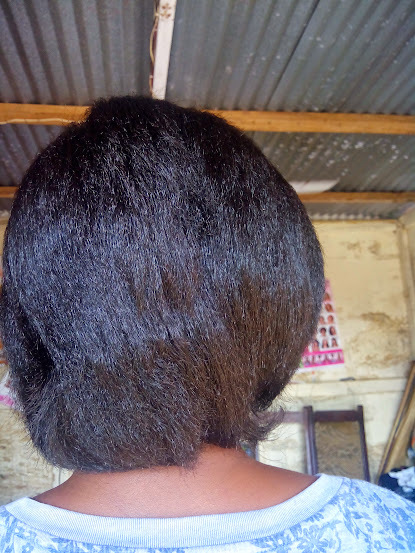 It was at that point that she noticed some breakage around the left nape area, something we didn't notice during the wash days. I'm not really concerned because I can't bring that hair back but I can keep an eye on it as I continue using my sulphur oil.